Sina-cism: They shoot horse tracks, don’t they? It’s another absurd Massachusetts ballot question! Lest you think this license would be open to anyone, remember that this is Massachusetts. Question 1 was written by and for the benefit of Eugene McCain, who is the head of the Horse Racing Jobs and Education Committee, and owner of a four-acre parcel in Revere that abuts East Boston’s Suffolk Downs horse track. Whether you favor the further legalization of gambling or not, and whether you like horse racing or not, there are serious problems with Question 1, which is the latest chapter in an increasingly distasteful story about the kinds of patronage and special pleading that have made Massachusetts infamous. Question 1 is crafted to apply to a location in a single community, Revere. Thus, it clearly violates the state’s constitution. To reach any other conclusion requires a high-priced lawyer. Of course, the question would never have arisen had Suffolk Downs succeeded in winning a slots license when the gambling law was passed. But the track didn’t win, place or show. Their East Boston/Revere project was soundly rejected by East Boston voters. A second, all-Revere project has been proposed, but Revere residents voted 2-to-1 against the plan in a nonbinding municipal referendum last Tuesday and so its fate rests with Question 1, which, as we have just seen, shouldn’t even be on the ballot. But even if we set aside the constitutional question, why should Suffolk Downs, or any other privately owned venue, enjoy state subsidies to promote its particular brand of entertainment? Suffolk Downs opened in 1935, and enjoyed a long history of racing, but after losing the gambling wars in 2013, the track was shut down in October 2014. But not quite closed. Because, under the state’s gambling law, a portion of gambling licensing fees and revenues go into a fund to resuscitate Massachusetts’ horse racing industry. That provision was inserted by House Speaker Robert DeLeo, whose district includes — surprise! — Suffolk Downs. Legislators never explained why we need to resuscitate an industry that is apparently unable to stand on its own legs. They simply decided to divert a portion of the revenue generated by one moderately successful form of gambling to sustain the existence of another less popular form of gambling. 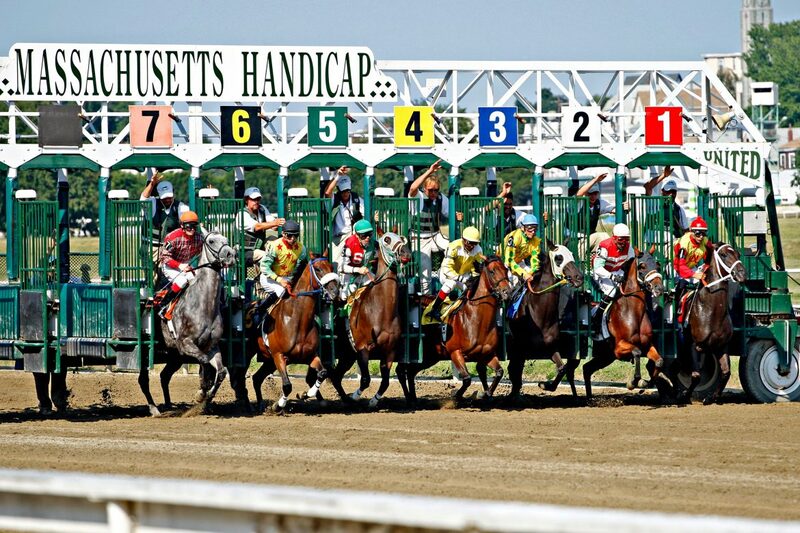 In June, the Massachusetts Gaming Commission voted unanimously to give $2.4 million from the gambling fund to Suffolk Downs to provide prize money for six days of actual horse racing this past summer, as opposed to the simulcasting of out-of-state races. So when you go to the polls on Nov. 8, just remember that Question 1 shouldn’t even be on the ballot, residents of East Boston and Revere aren’t overly interested in a slots parlor in their communities, and horse racing fans are too few to support an industry whose Massachusetts heyday is long past.